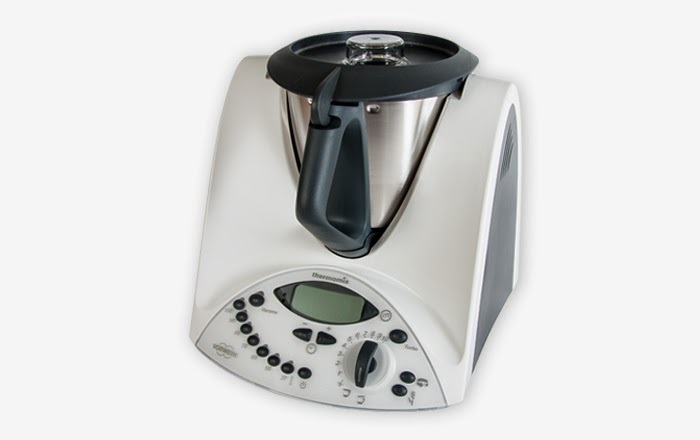 Will I Use My Thermomix? I usually make the dough for naan bread in my breadmaker. I then put the rolled out naan into an oven (which has been on its hottest setting) for a few minutes, then under the grill (which has also been on for 10 minutes or so to get really really hot. The recipe in the Indian Cooking cookbook was very similar, slightly different proportions perhaps. The cooking method was the same as I already use. It worked really well. Lovely fluffy naans. I also brushed the finished naans with melted ghee, which the Thermy boook didn't mention but I normally do anyway. The downside of the Thermy method is that I had to use (and then clean) a bowl for rising, and I had dirtied Thermy. The upside of the Thermy method is that the overall time is a little shorter than using the breadmaker. This is a close call. I think it might depend on whether I was already using Thermy, and how long I had until I needed the naans. Mushroom Risotto and Arancini. Again.